The Youth Empowerment Project (YEP), through the National Association of Co-Operative Credit Unions of The Gambia (NACCUG), brings a solution to grassroots entrepreneurs in need of support to start of capital to boost their businesses. With the mini-grant scheme, Gambian youth with a solid business plan can apply for grants up to D47,000. The mini-grant funds will be disbursed to grantees either as cash or as assets, but asset disbursements will be given priority where feasible. The mini-grant scheme aims to tackle the problem of access to finance identified as one of the most pressing bottlenecks faced by youth entrepreneurs to set up and grow their businesses. 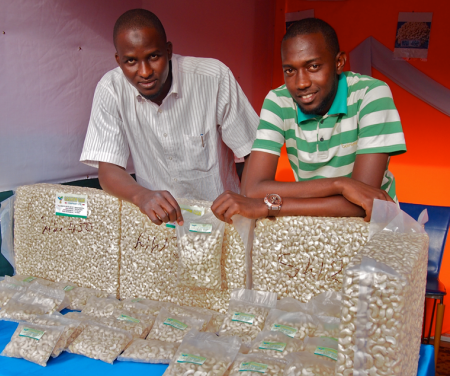 The Youth Empowerment Project (YEP), through the National Association of Co-Operative Credit Unions of The Gambia (NACCUG), brings a solution to grassroots entrepreneurs in need of support to start of capital to boost their businesses. With the mini-grant scheme, Gambian youth with a solid business plan can apply for grants up to D47,000. The mini-grant funds will be disbursed to grantees either as cash or as assets, but asset disbursements will be given priority where feasible. The mini-grant scheme aims to tackle the problem of access to finance identified as one of the most pressing bottlenecks faced by youth entrepreneurs to set up and grow their businesses. What is the Mini-Grant Scheme? Grants up to D47,000 to facilitate acquisition of equipment, materials, licenses and other business critical inputs and assets. No collateral, interest rate or repayment requirements. Grantees receive coaching and financial literacy training to improve their capacity to save, exercise financial planning and separate their private funds from the funds of the business. Grantees participate in annual experience sharing events to communicate results, success stories and best practices of the mini-grant scheme. Priority regions are Greater Banjul, North Bank and Central River regions. Have some level of savings or commit to making regular savings in a financial service provider of his or her choice. Provide a guarantor before funds can be disbursed to indicate that the funds will be used for the intended purpose. Failure to do so implicates in full refund. Must have received entrepreneurship or vocational training. Proof of attendance is required. Activity/Business must not be illegal or detrimental to the environment. Business should be registered. Proof of business registration is required. Willingness to attend other trainings as and when required. Agree to maintain in a professional manner the record of the business. Business plans that show high level of innovation will be an advantage. The Grant Coordinating Committee reserves the right to approve or reject any proposal received. Application forms are available online on the NACCUG, YEP and partner websites. You can download it here. Forms should be filled electronically, printed, signed, scanned and sent by email to minigrantschemegambia@gmail.com. Forms should be completed using clear legible hand writing in capital letter.